Good news, everyone! No, it’s actually good news, everyone! 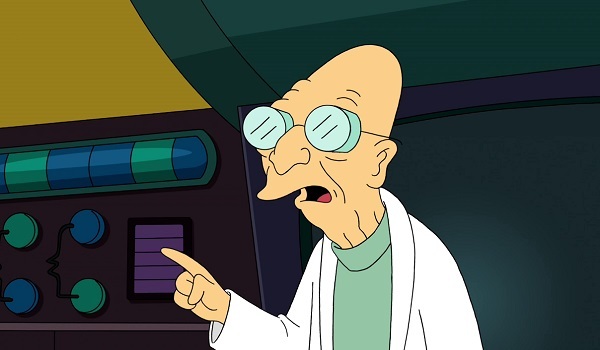 The Simpsons universe finally got to share company with that of the Futurama universe for tonight’s rollicking crossover episode ”Simpsorama”. All in all, it wasn’t nearly as long and involved as the Family Guy/Simpsons mashup from September, but it also felt a lot more natural, perhaps because both of these franchises were created by Matt Groening. 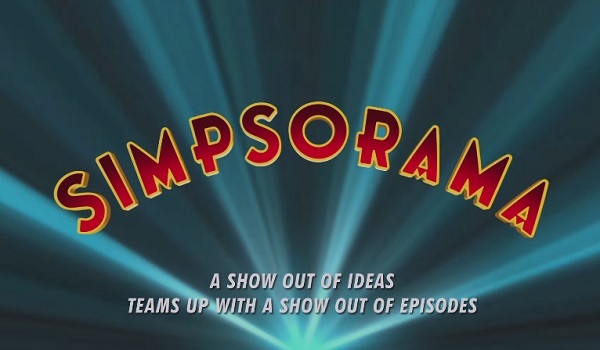 To be expected for an episode with characters from two different millennia, the “Simpsorama” plot was delightfully convoluted and extremely free with its logic. 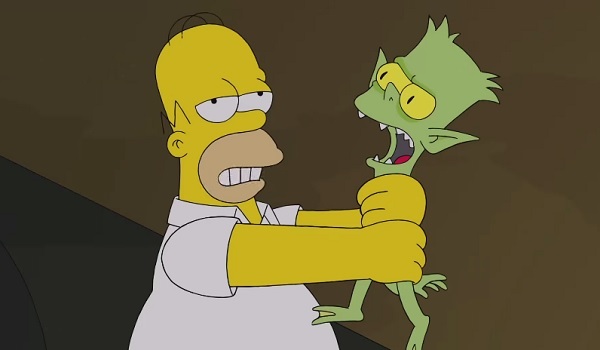 In that sense, it felt closer to a “Treehouse of Horror” special than a standard episode. (Plus, a couple of familiar aliens appeared, as you’ll read about later.) So while it wasn’t exactly a pitch perfect crossover, there was more than enough humor to go around, and here are the ten best moments from the episode, in sequential order. In this scene that sets the storyline in motion, we see Nelson get emotional about his at-large (in his heart) father, Milhouse get pantsed by karma, and Marge psychically realize that something has been done to the sandwich she made that morning. And it's all for a capsule that may or may not have been a civil war coffin. But the best part about this is Superintendent Chalmers telling Bart, "Listen, boy, this is the only legacy you'll ever leave." Harsh words, but probably true ones. After hearing strange noises in the basement, Homer sets Bait, I mean Bart, as bait for whatever is lurking down there. Of course, it's Bender, who pisses Homer off by trying to drink his loved ones: Duff beer. The two similar looking main characters immediately bond over a rousing game of Tether Boy, a trip to Moe's and some bowling. ("For all we know!") If the next Simpsons movie was just a buddy comedy between Homer and Bender, I'd have already my ticket bought. The time capsule contained Bart's snot, a rabbit's foot and a bunch of toxic ooze, which spawns a bunch of vicious rabbit creatures that are both taking over the future and spraypainting things like "Crossovers are hell" on building walls. 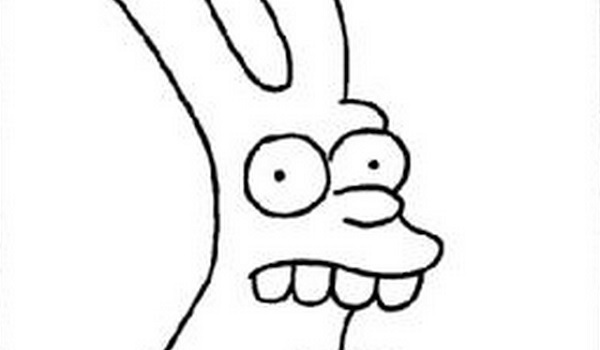 Oh wait, some of those rabbits are references to Matt Groening's comic strip Life is Hell, which ran from 1977 to 2012. No Groening creation is left behind here. It's also awesome to see the damage these creatures cause later in the episode. R.I.P. Scruffy's head. 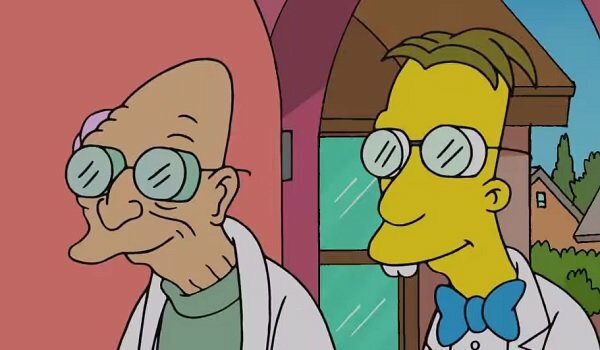 I've always wanted to see Farnsworth's antagonistically arrogant personality blend with Frink's foolishly optimistic mode of operation. Their team-up here is successful, as they figure everything out (flavin) with Lisa's help (riven), and Frink even gets to poke fun at himself for his syllabic nonsense. If Bender and Homer's movie idea doesn't work, putting these lab coat-wearing gents on a pseudo-educational series would work wonders for the children of the world. 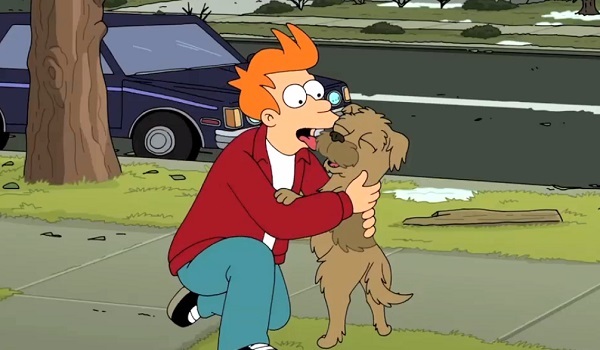 Okay, so it was probably a cheap move to get Fry's dog Seymour Asses into this episode, as the pet is one of Futurama's most beloved characters. "Jurassic Bark" remains one of the most touching episodes in TV history, animated or otherwise. He only shows up for one non-sensical moment, considering the episode is in Springfield and not New York (and it's two years after the dog died in the series' canon), but it was still a great moment. 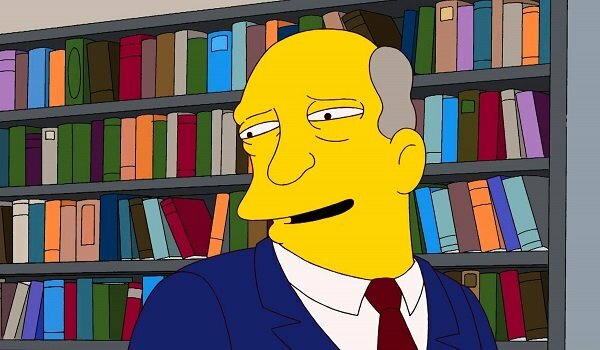 Seymour! 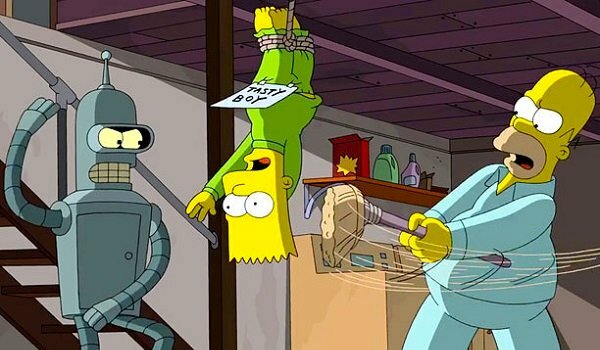 The Simpsons has gotten a lot of mileage out of Homer's signature strangling punishment for Bart, and it's taken to wonderful lengths here as he destroys one mutant Bart creature after another by squeezing their necks until the heads pop off. What makes this so odd is the monotone deliver of his "Why you little..." as he does it. He gets to do the thing he's always wanted (sort of) and he just looks bored with it. Back in the future, it looks hopeless for our characters (and the moon), and the Professor prays to nothing, as his atheist ways would have it. "Oh nobody's father, who art nowhere. I know you can't hear me. Completely ignore this prayer. Nothing art thou and nothing will thou ever be. Jesus was just a man. Amen." Plus, we get to see Nibbler poop out a creature in the background. Nothing but high class here. 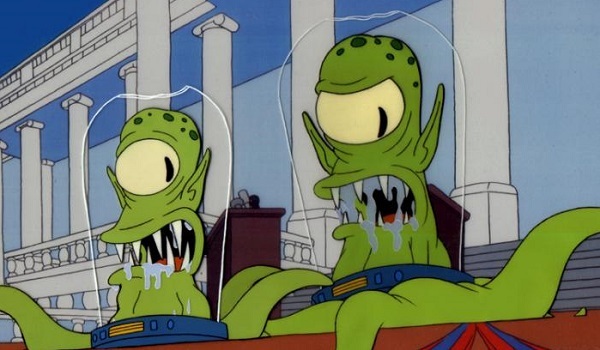 After being mostly absent from this year’s “Treehouse of Horror’ episode, Kang and Kodos arrived here to counter Futurama's central rage-fueled aliens Emperor Lrrr and wife Ndrid. It's a slight scene in and of itself, but the best part is when Ndrid runs off and Lrr asks for the female of Kang and Kodos to go and comfort her, and they both follow. Does that mean that both of them are female, or that both are males and looking to take advantage of a crying lady? Discuss. 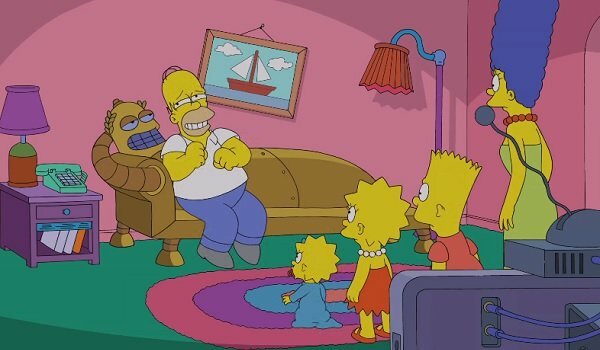 Before the normal Simpsons end credits, we get to hear Homer improvise lyrics to go along with the Futurama theme song, which plays over a mashup between the two series' opening credits. There are fun things like future versions of Ned Flanders and Comic Book Guy, and also the depressingly prescient gag that Ralph Wiggum is going to die in 2017. Plus, headless Scruffy is sweeping up, which means he's not dead after all!